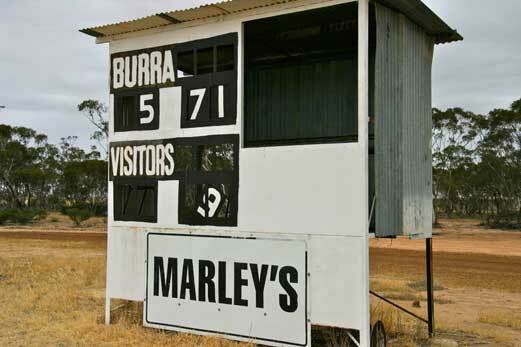 Burra, in Western Australia’s wheat belt, has an interesting connection to the AFL’s number one draft pick. In 1990 Geelong used the top pick to snare Burracoppin boy Stephen Hooper who was by then making a name for himself at East Perth. Then in 1996 West Coast got hold of the number one pick (and Michael Gardiner) by trading Ian Downsborough to new team Port Adelaide. Downsborough, who was off to Adelaide the next year, remains arguably Burra’s most significant footy figure and has coached the Cats in the Eastern Districts Football League in recent years. His brother Craig was also a good player, representing Claremont in the WAFL. However there is a current AFL player, chosen as a rookie, who might just take the Burra cake. Former Carlton and now Melbourne player Jeffery Garlett was born in Burracoppin, left at an early age but returned to play senior footy before graduating through the WAFL (Swan Districts) to the AFL. Garlett is part of an amazing footy family. He’s a cousin of Buddy Franklin, Dale Kickett, Des Headland and Cruize Garlett and nephew of Derek Kickett and Leon Davis.